This apartment complex is the definition of homesubmitted by Haley G. - Mar 04, 2019 |Recommended: YesAmazing. Everyone is so friendly managment honestly is the best. I would recommend to everyone. response from property - Mar 25, 2019 Your review is very appreciated. We will always do our best to make sure you continue loving Wellington Woods! response from property - Feb 20, 2019 Thank you for taking the time to submit a review. We are glad you are enjoying your apartment home at Wellington Woods & look forward to you living here for many years. response from property - Sep 04, 2018 We are so glad you are enjoying your new home at Wellington Woods! A nice area to livesubmitted by Nia B. - Aug 02, 2018 |Recommended: YesVery quiet area with friendly neighbors. Groundskeeping is great Comfortable community. response from property - Aug 08, 2018 We are glad you enjoy living at Wellington Woods & hope that you are a happy resident for a long time! response from property - Jul 17, 2018 Thank you for your glowing review! The entire staff takes pride in the community & in providing superior service to residents. We are thrilled you chose Wellington Woods as your new home & look forward to having you as a resident for many years. Best complex submitted by Michael C. - May 31, 2018 |Recommended: YesMe and my family are so happy to live here. You dont hear noises and the mantainance it the best. I will recomend this place to my friends. response from property - Jun 01, 2018 Thank you for your kind review. We are glad you enjoy being a part of the Wellington Woods family & look forward to you staying for a long time. We certainly appreciate that you will recommend us to your friends. A safe, quiet place to livesubmitted by Monica H. - May 02, 2018 |Recommended: YesMy apartment is comfortable, quiet and safe which are all qualities I was certainly looking for. response from property - May 08, 2018 Welcome to Wellington Woods. We are thrilled you chose our community for your new home and look forward to having you as a resident for a long time to come. Summer is almost here and we hope you have a chance to relax at the pool. Very Nice place to live.submitted by Jose R. - Apr 10, 2018 |Recommended: YesVery nice Neighborhood, calm and quiet. response from property - Apr 18, 2018 We are glad you have enjoyed living at Wellington Woods. 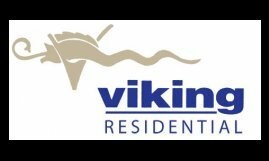 response from property - Apr 03, 2018 We are glad to have you as part of the Wellington Woods family. We look forward to you & your boyfriend living here for a long time. A nice place to live.submitted by Michael I. - Jan 08, 2018 |Recommended: YesI think the leasing staff is friendly and the school district is great. This is a very nice place to live. Hallways can be loud but I haven't had any serious issues. response from property - Jan 29, 2018 Thank you for your comments. We are happy that you enjoy living at our apartment community & look forward to you being a long time resident. Peace of mindsubmitted by TIFFANY W. - Aug 05, 2017 |Recommended: YesI have been here for 2 years and I happy to call it home. Its peaceful. The staff is friendly. My neighbors are nice. response from property - Sep 20, 2017 Thank you for taking the time to write a review. We are glad you are happy to call Wellington Woods home & look forward to you living here for many years! Great apartment home community submitted by Courtney C. - Jul 01, 2017 |Recommended: YesIt's nice I love Coree the apartment Manager He is comforting,understanding, and he knows the complex very well. CHRIS and Anthony the grounds men they are wonderful people they get job done. They are a wonderful team. response from property - Jul 18, 2017 Thank you for your kind review. We look forward to having you as a valued resident for many years! response from property - Jun 12, 2017 Thank you being a valued long time resident! Affordable, clean, organized and pleasant.submitted by Shander R. - May 05, 2017 |Recommended: YesI enjoy living here. I hardly hear the neighbors except out in the hall when they leave. Aside from that the area is quiet, clean, spacious, affordable and great to live in. response from property - Jun 12, 2017 Thank you for your continued residency at Wellington Woods. We will strive to have you enjoy living here for many more years. Great place to rentsubmitted by Fengjian S. - May 01, 2017 |Recommended: YesVery quiet and convenient. The management team are very nice. response from property - Jun 12, 2017 Thank you for choosing Wellington Woods!